Check out our YouTube Channel to see examples of our Thin Kerf Gang Systems in action. 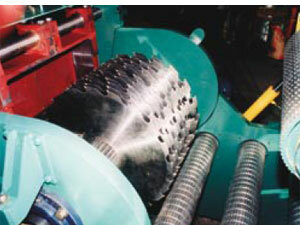 Manual or fully optimized with either feed chain or hard chromed feed roll charging systems on optimized units. They are available as pick and place or positioning pin style. 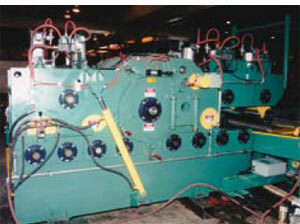 An optimized system is available with grade input and operator override prepositioning. Linear position laser lights project optimized sawlines on cants and the operator has the ability to reposition the sawing solution to maximize grade or value recovery. Line bar types can be fixed or shifting.